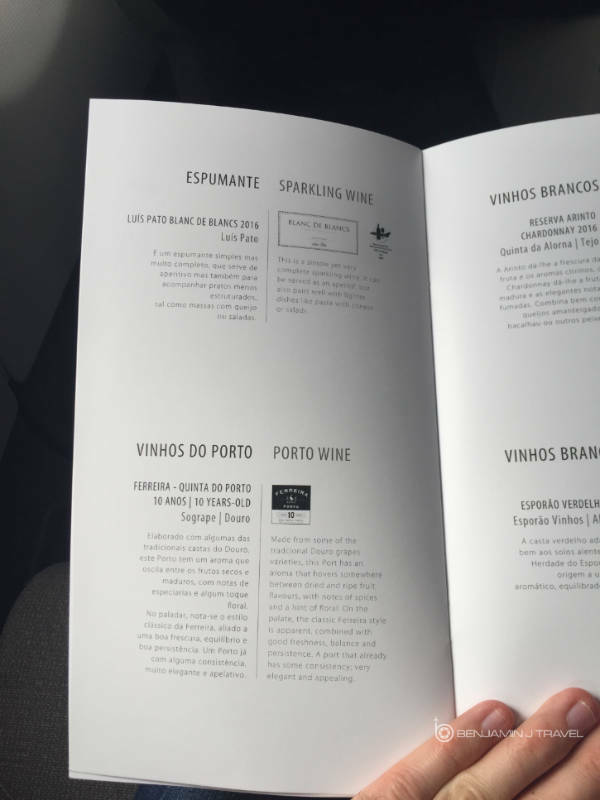 Making the journey back home from Oslo, my transatlantic segment would be aboard an A330 in TAP Portugal Lie-Flat Business Class. 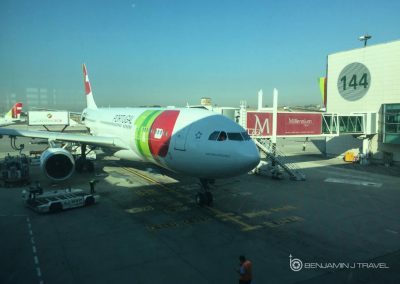 In its long haul fleet, TAP Portugal operates A330s and A340s with their Business Class cabin current undergoing an retrofit. 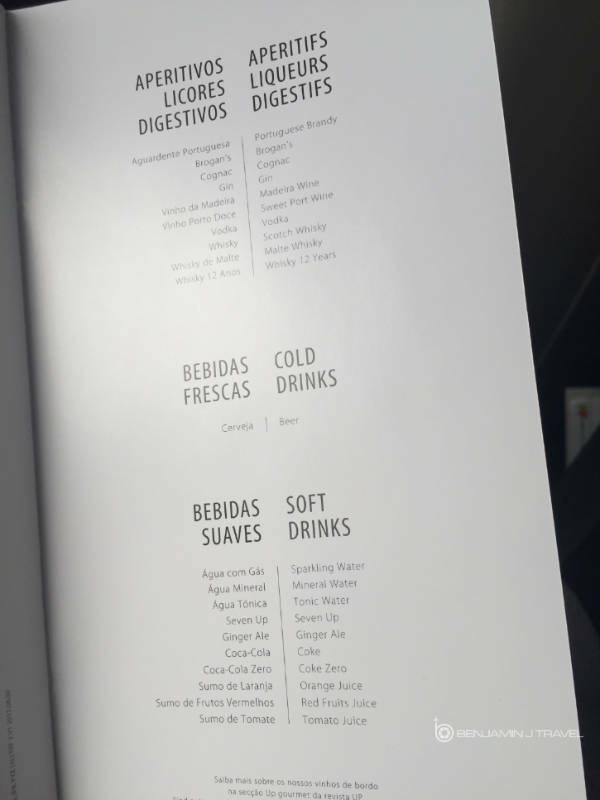 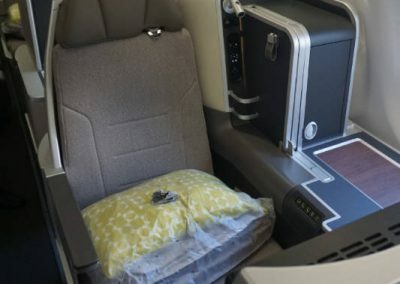 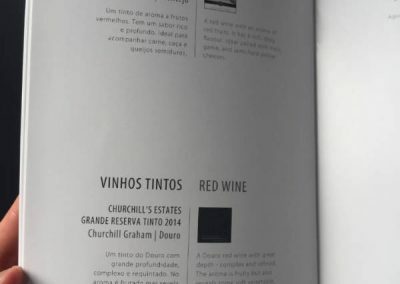 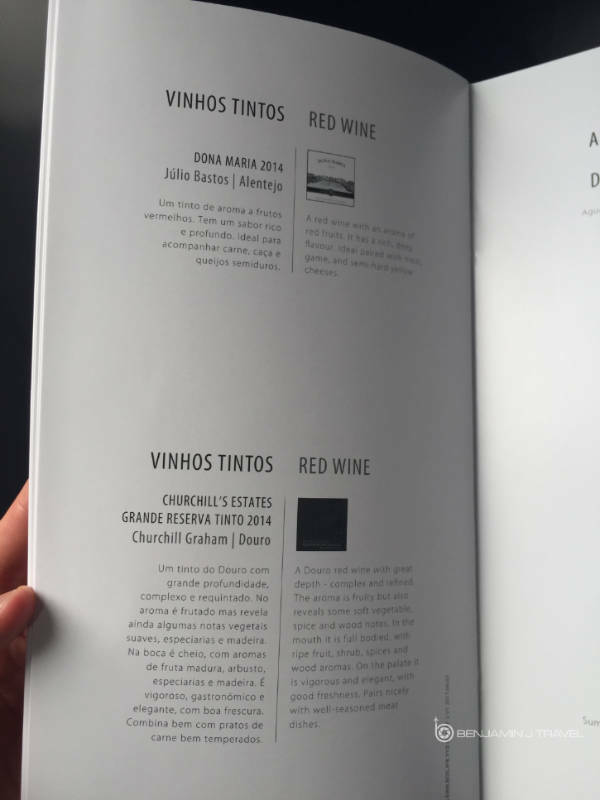 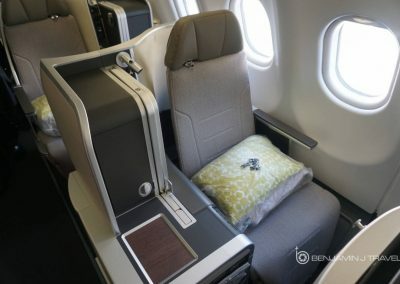 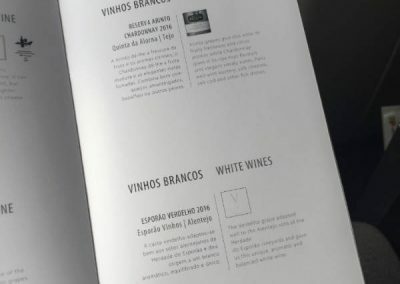 I selected my particular itinerary so that I could experience TAP Portugal’s new Business Class cabin on the A330 featuring it’s new lie flat seats. 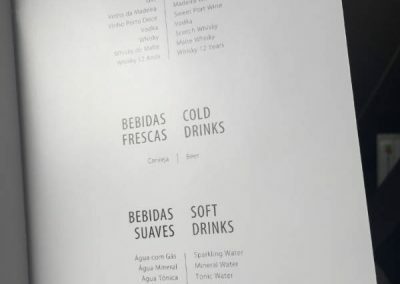 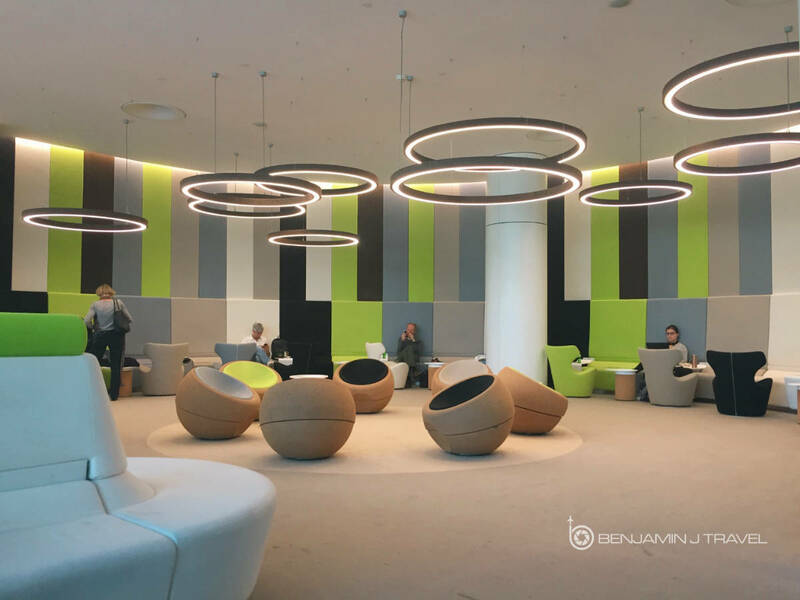 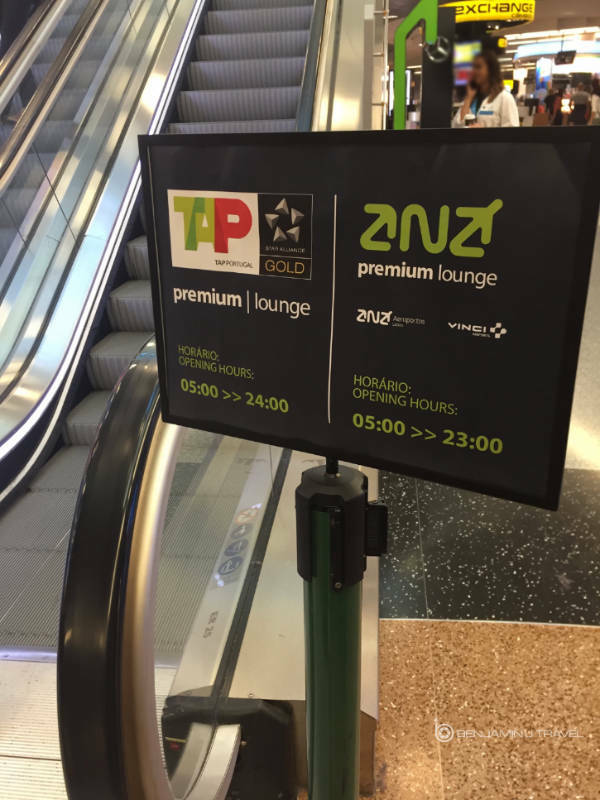 I left my Airbnb extra earlier to have a bit of time to hang out in the TAP Portugal Premium Lounge before departure. 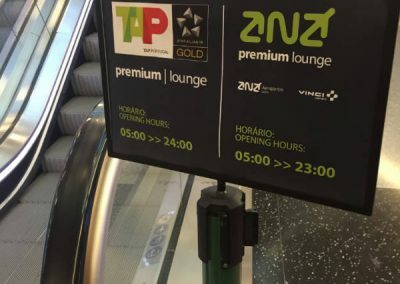 My boarding time was listed as an hour before departure and the lounge signage stated a 15 minute walk once beyond passport control. 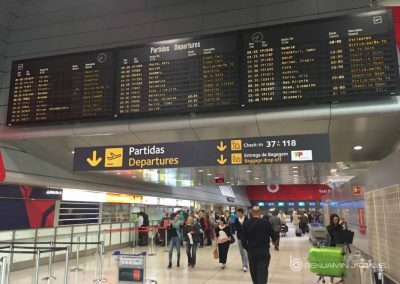 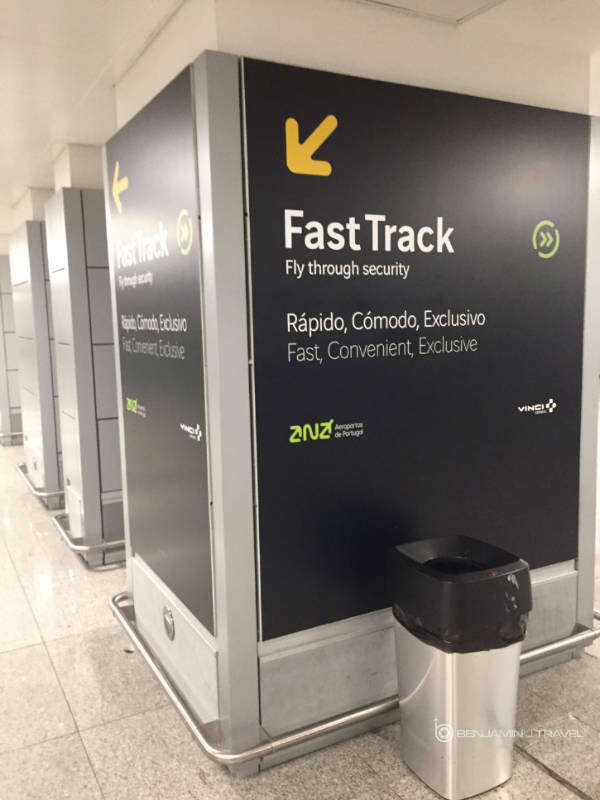 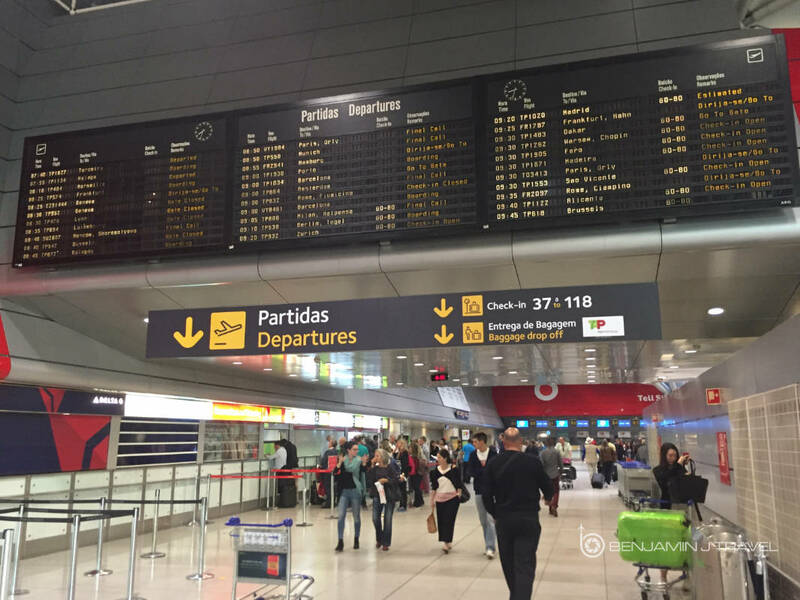 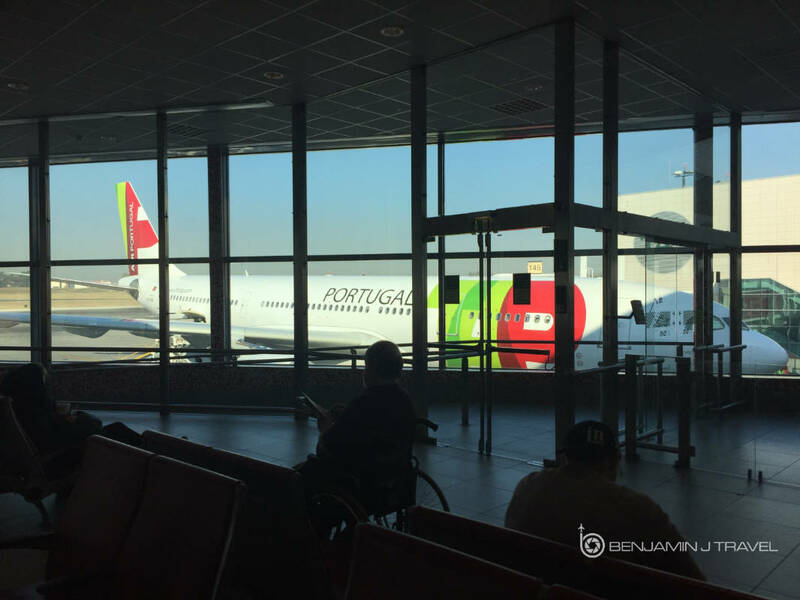 I recommend planning extra time at the Lisbon airport as it’s a rather hectic airport and nearly all amenities are before passport control. 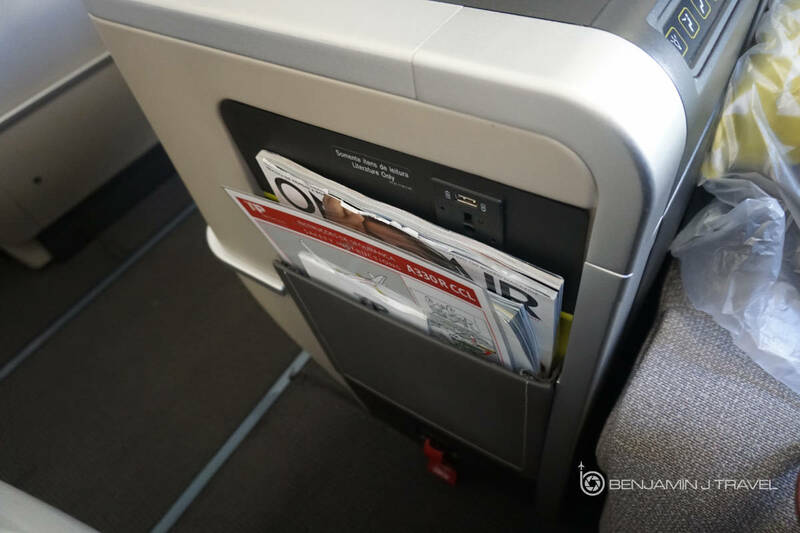 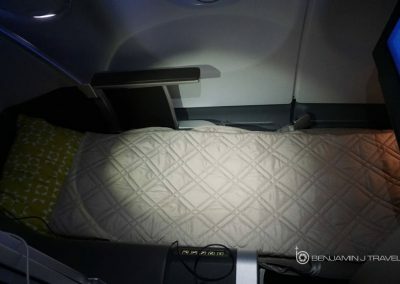 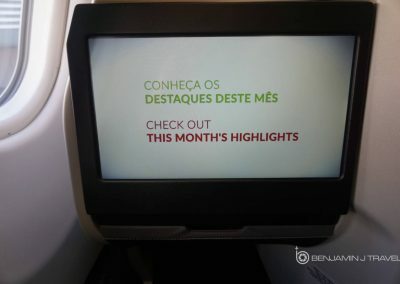 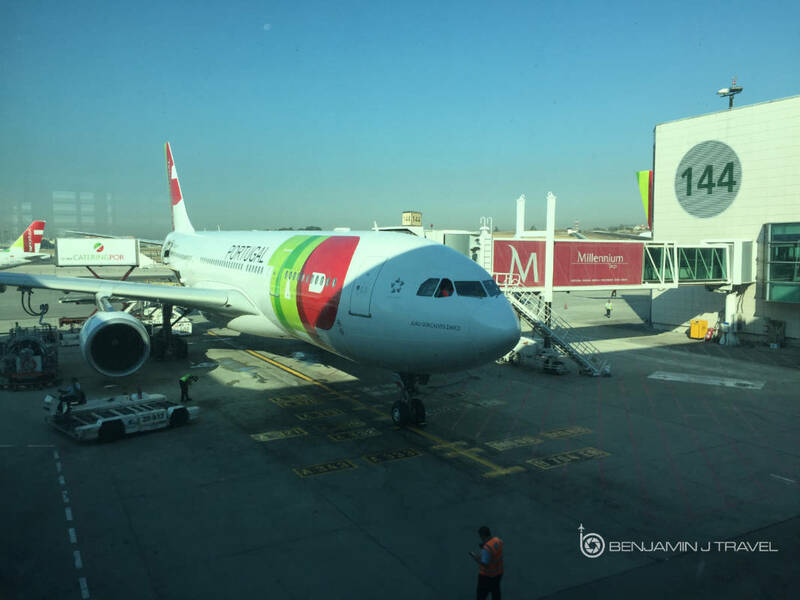 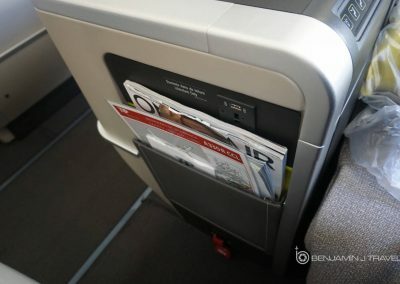 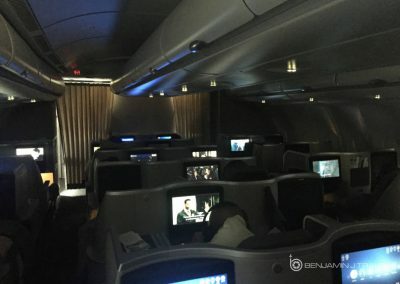 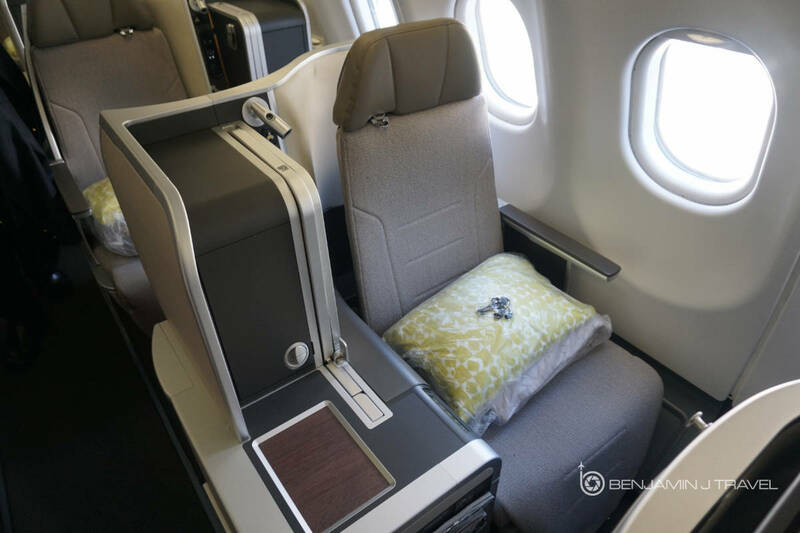 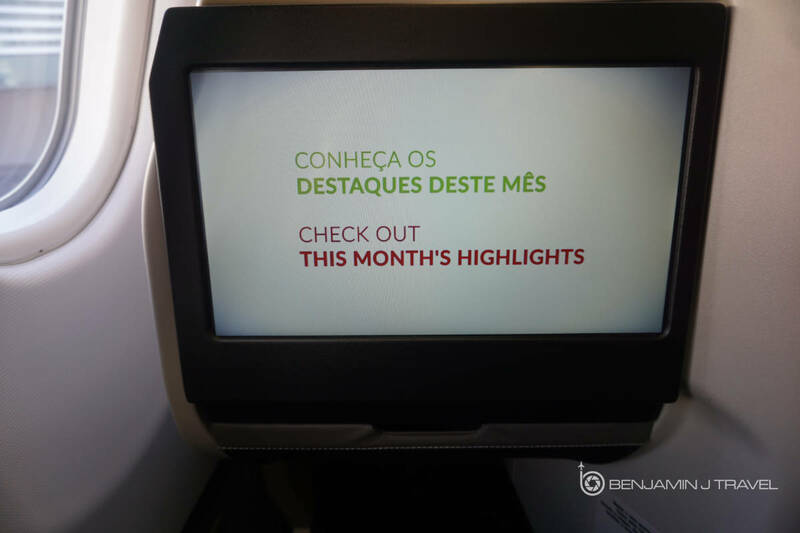 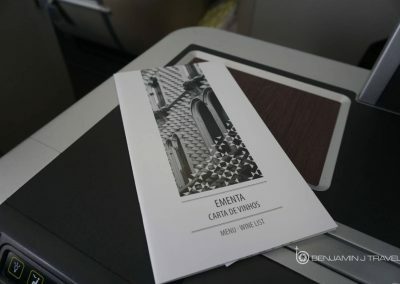 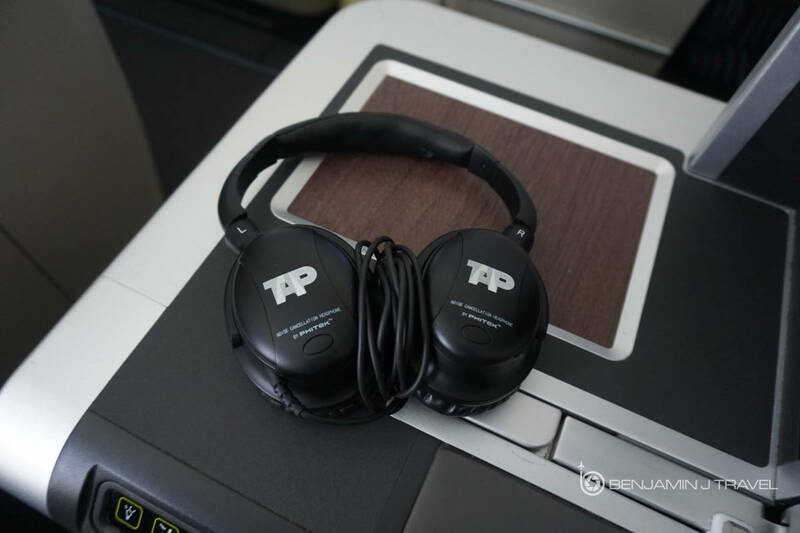 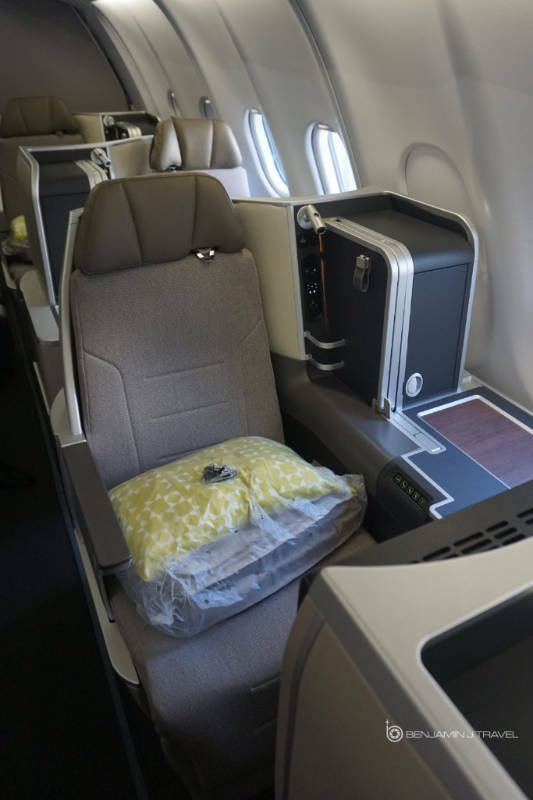 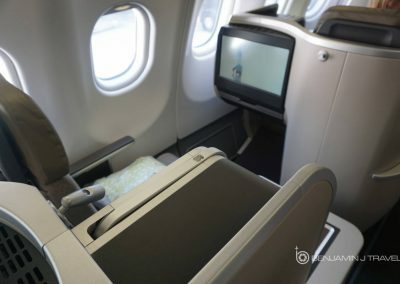 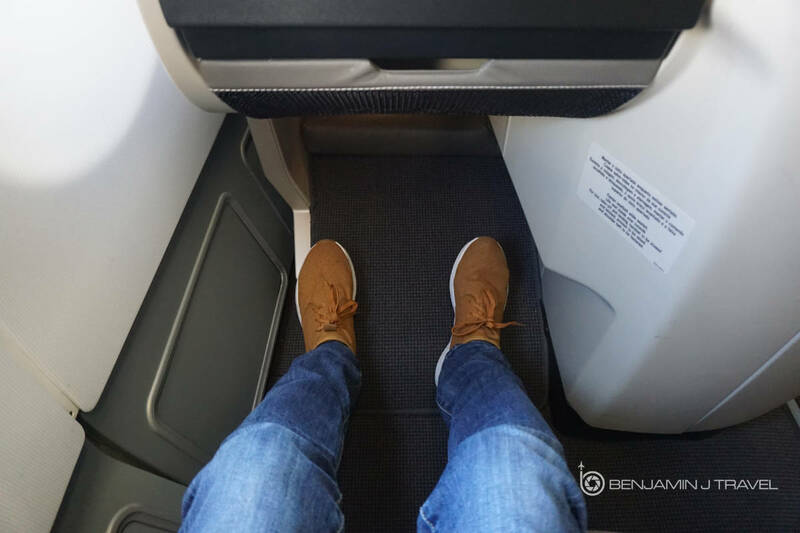 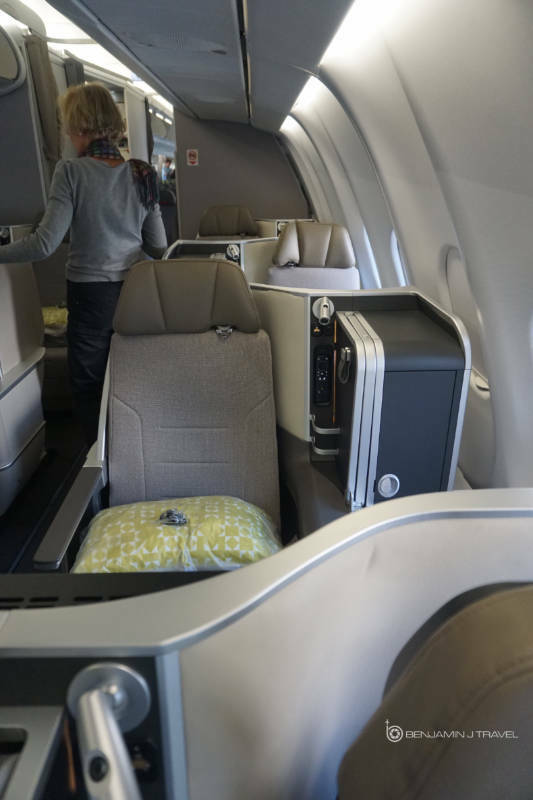 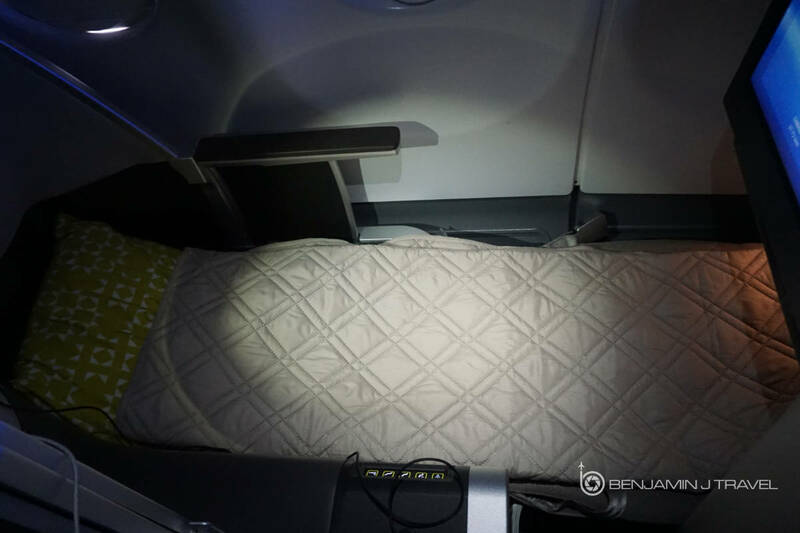 The Cabin: My flight was aboard one of TAP Portugal’s updated A330s with the new Business Class cabin with full lie-flat seats. 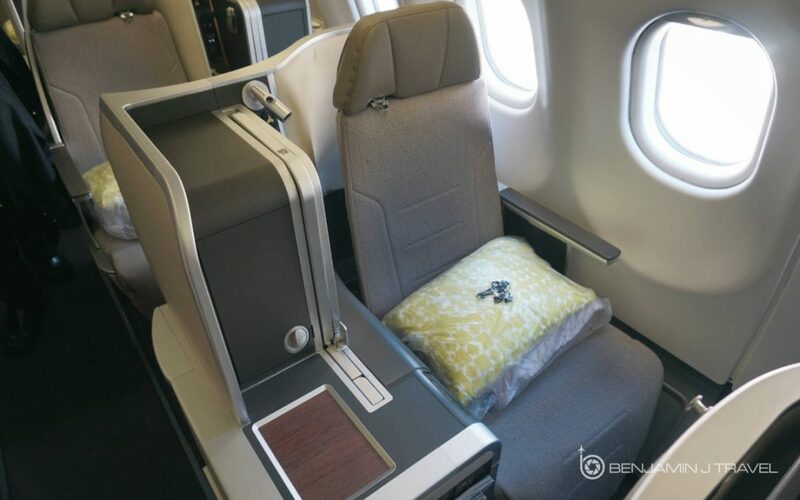 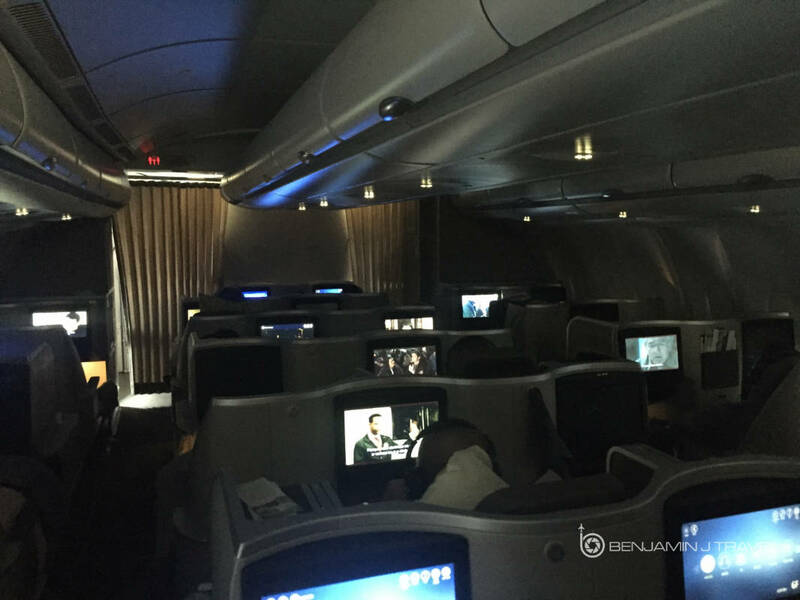 The Business Class cabin is in a staggered layout with 25 seats in total. 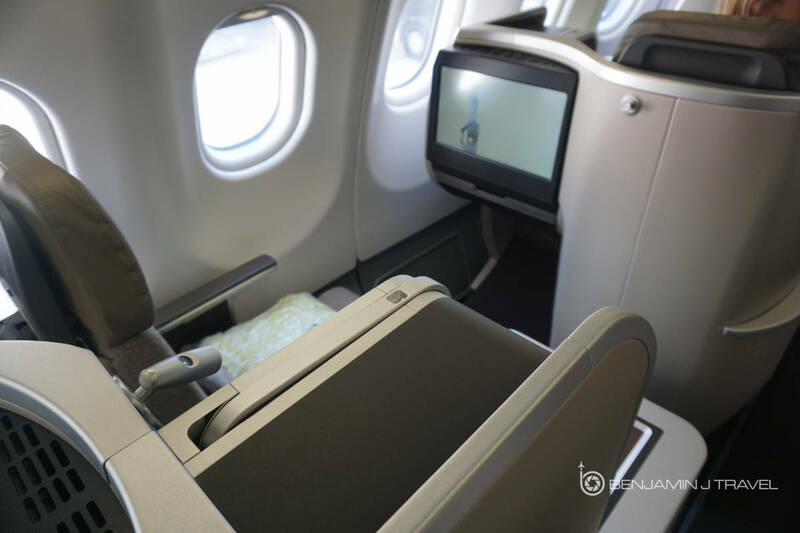 Most seats have direct-aisle access with the exception of three window seats on the right side of the cabin. 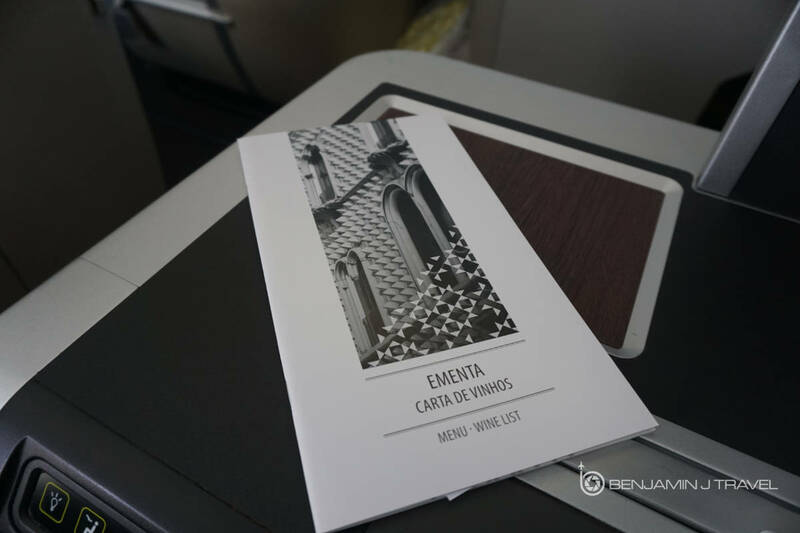 There is only one dedicated Business Class lavatory at the front of the cabin. 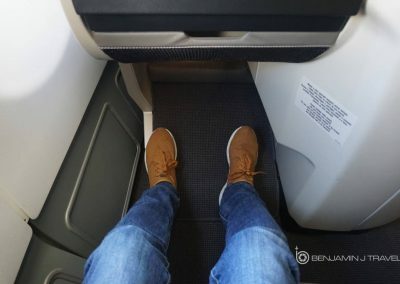 The Seat: I was seated on the left side of the aircraft in a single “throne” seat in 2A which is arguably the best seat for traveling solo in his cabin. 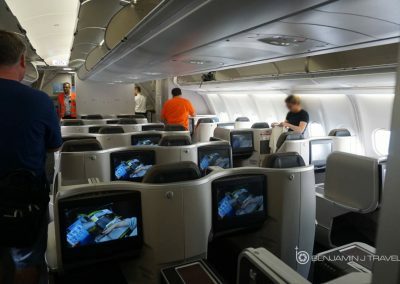 In the solo seats, there is a large table/armrest area; alternating on the left and right side of the seat in each row. 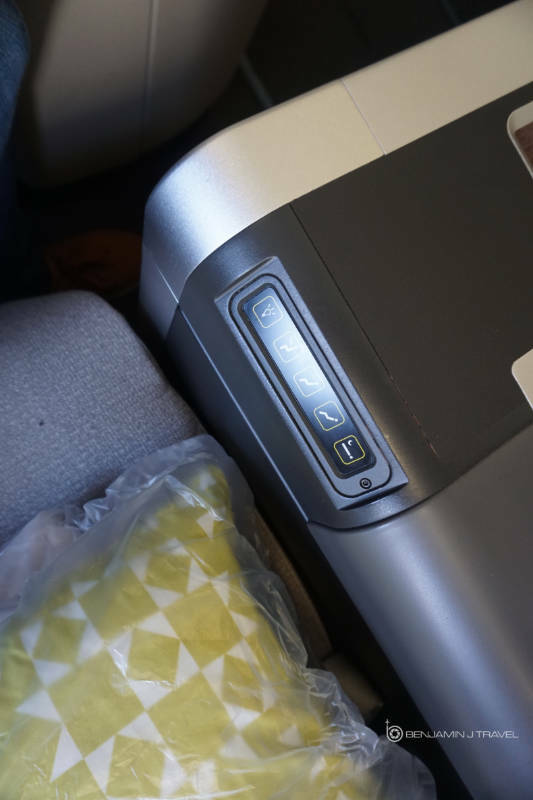 I like 2A because the armrest area is on the right side of the seat, adding a buffer between the aisle and seat. 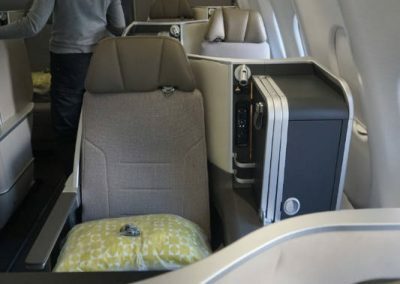 The seats are spacious in a pleasant, neutral color palate. The seats lie fully flat and there are plenty of storage options. 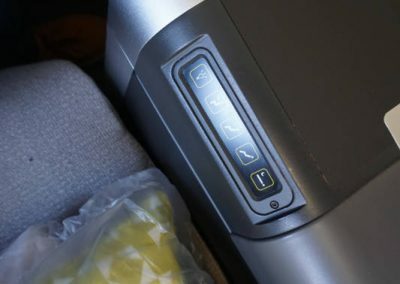 There are power outlets at every seat. 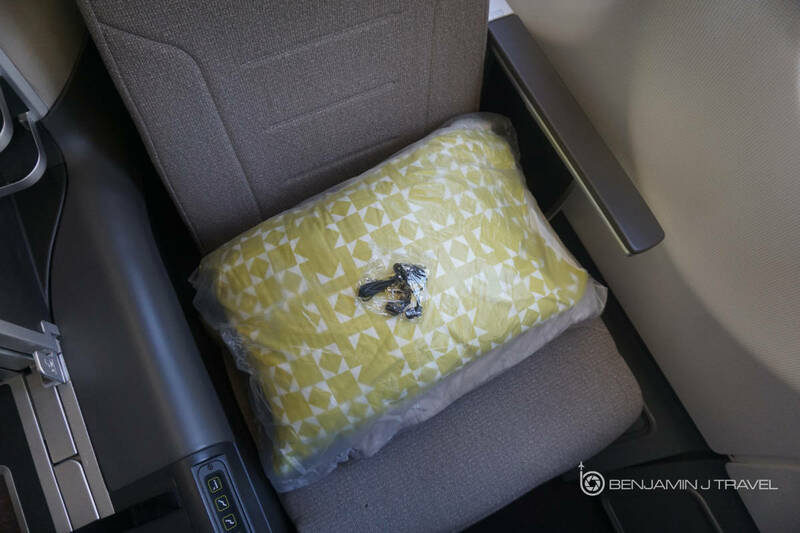 The Amenities: At my seat, there was a packaged comfort bundle with a pillow, blanket, and basic in-ear headphones. 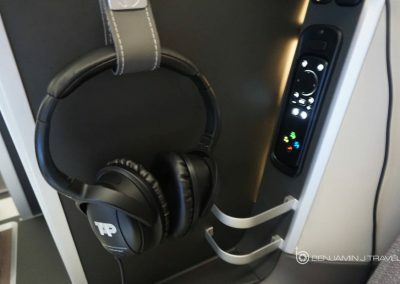 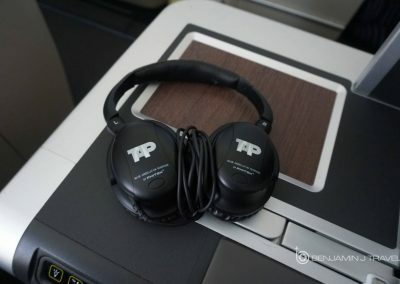 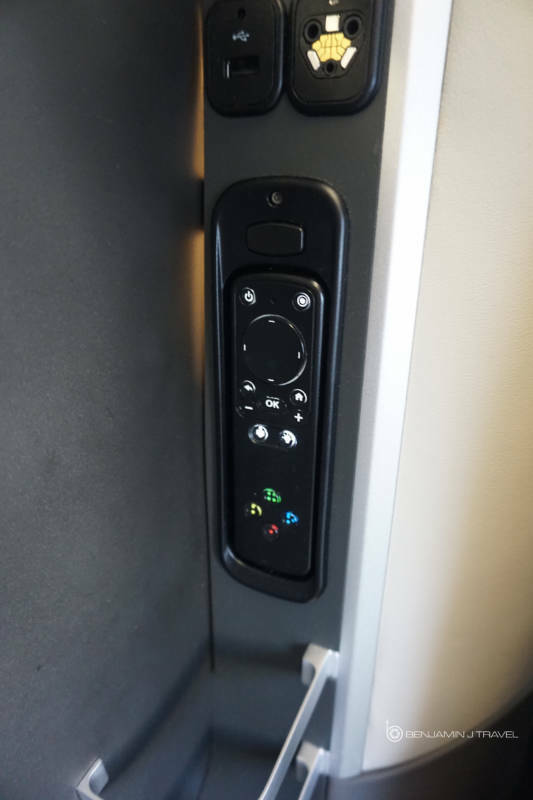 There were also a pair of noise-cancelling headphones attached to the armrest area. 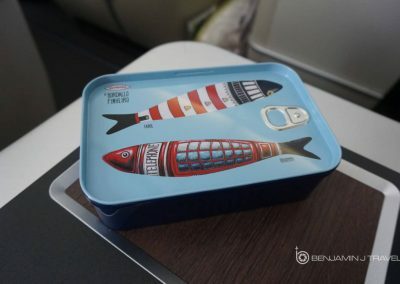 A unique amenity kit was also offered which I thought was quite cute. 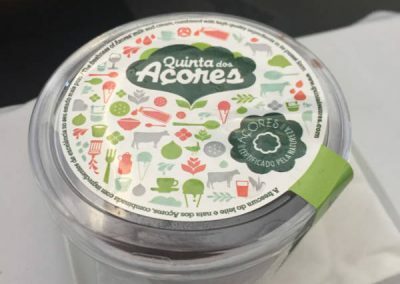 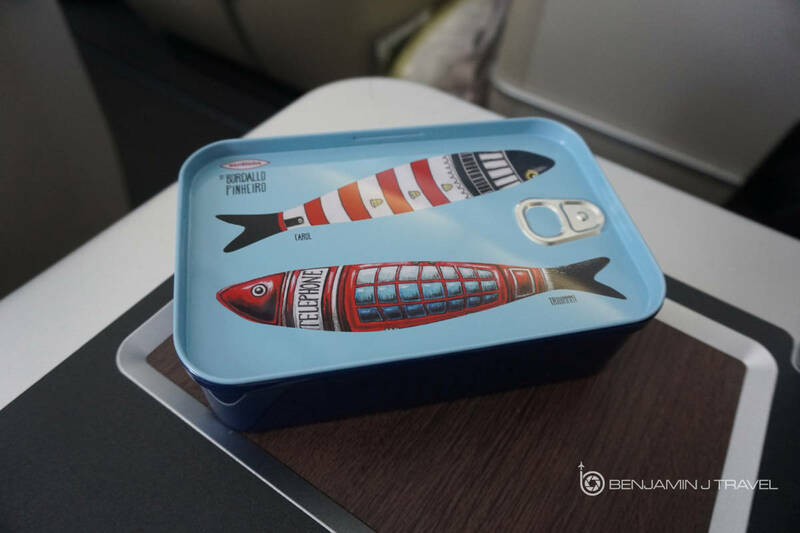 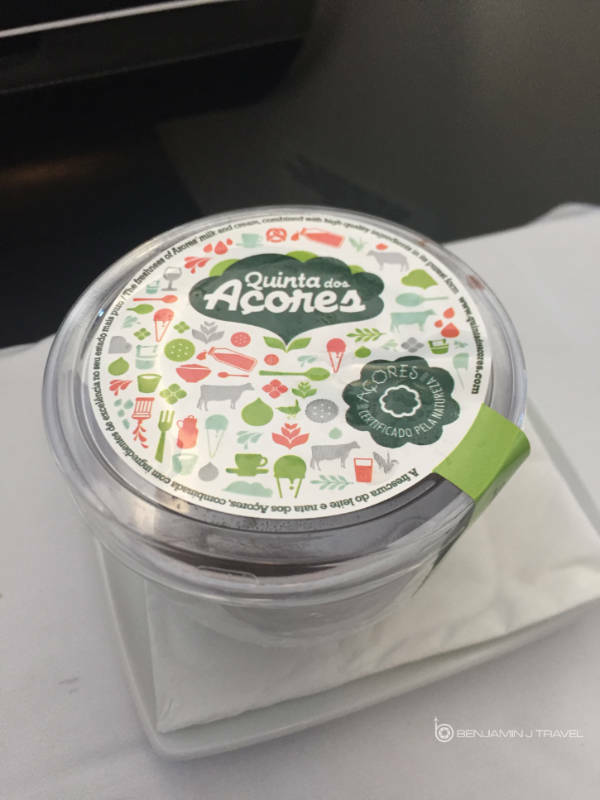 In Portuguese fashion, the amenity kit was fashioned to look like a sardine can. 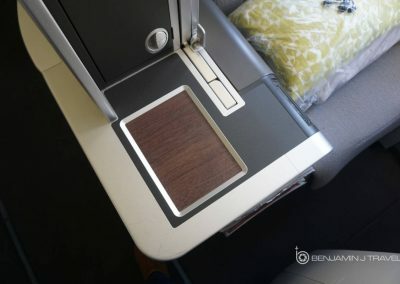 WiFi is offered onboard the A330 but the prices aren’t great. 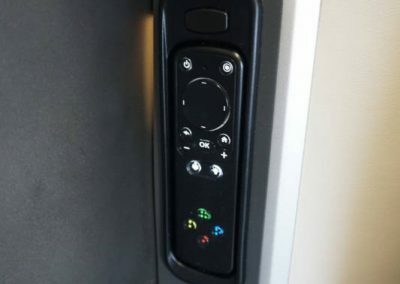 (4 MB – $4,99 14 MB – $14,99, 50 MB – $45,00). 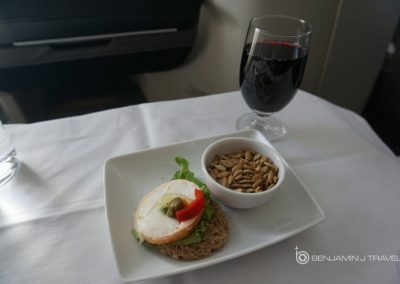 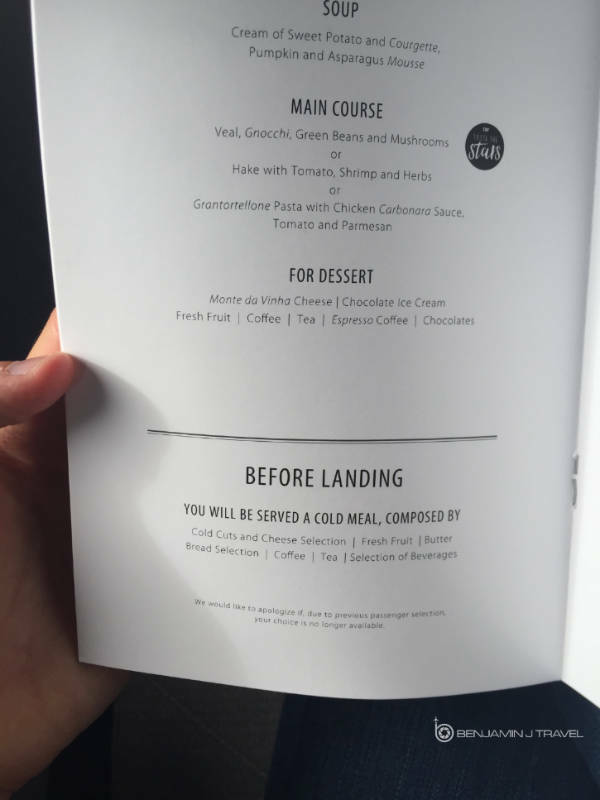 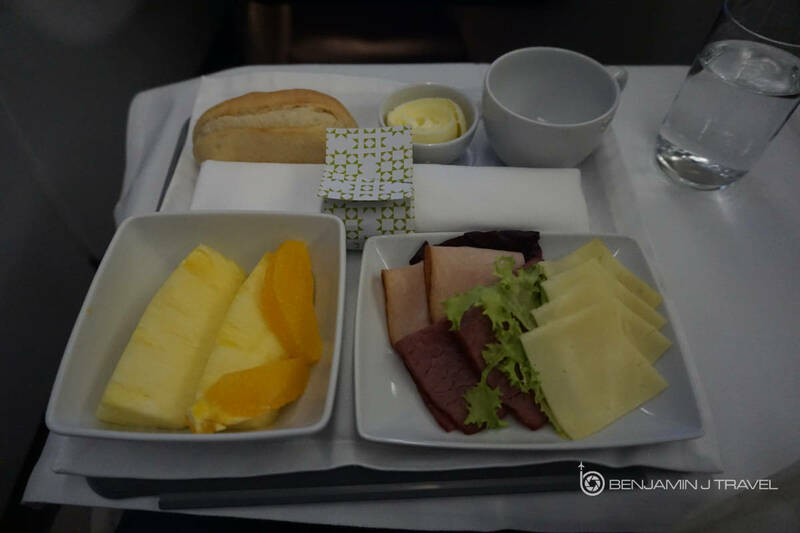 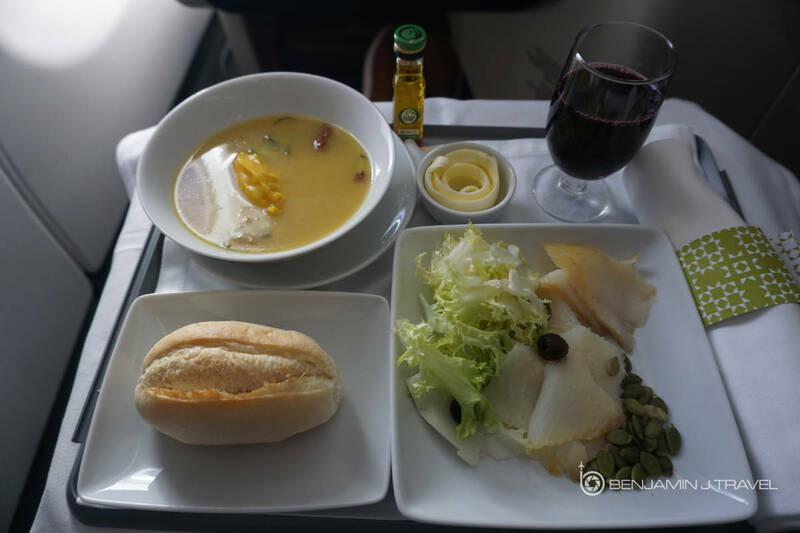 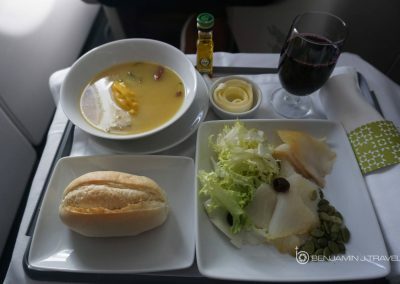 The Food: Shortly after takeoff and reaching or cruising altitude, the in-flight service began in Business Class. 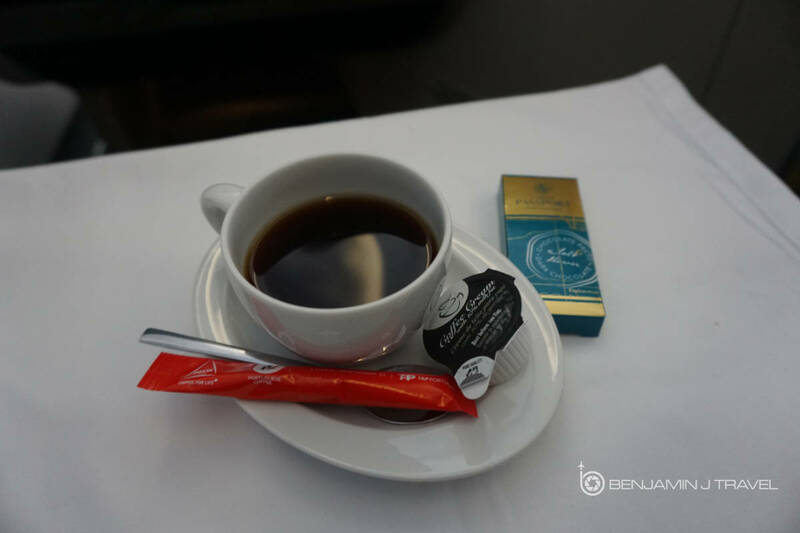 The crew came about the cabin handing out hot towels, followed by an amuse bouche. 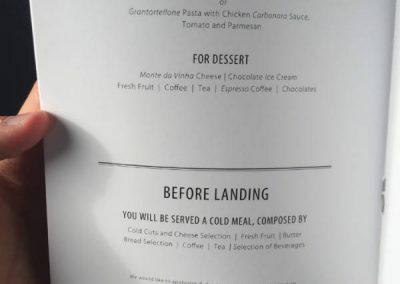 Shortly after, entree orders were taken by the crew while drinks were offered. For my lunch entree, I opted for the veal with gnocchi and mushrooms. 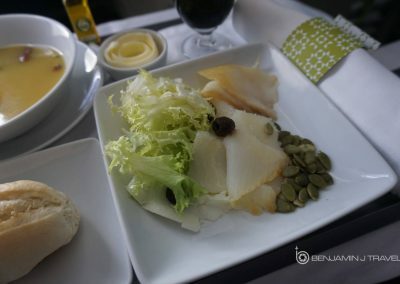 The starer course included a salad, pumpkin soup, and smoked halibut. 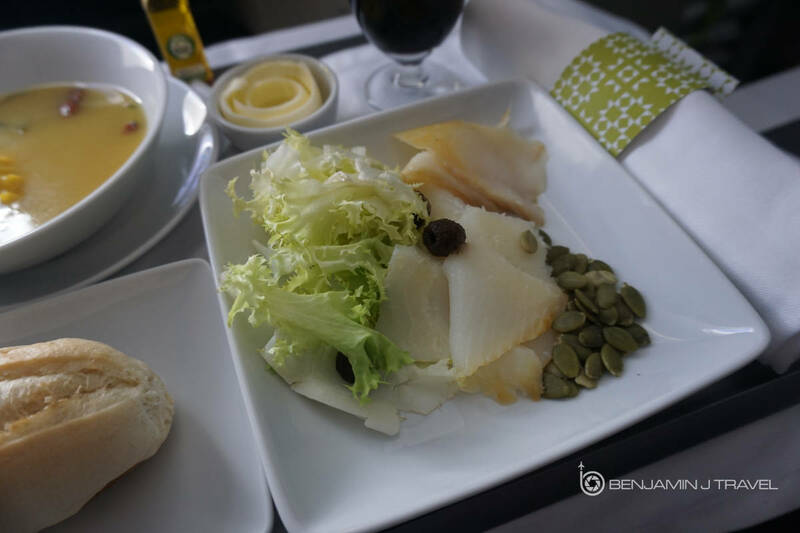 The soup was good but I picked over the smoked halibut. 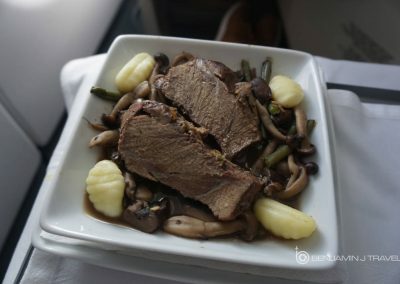 The veal entree was fairly good, just a tad on the well done side. 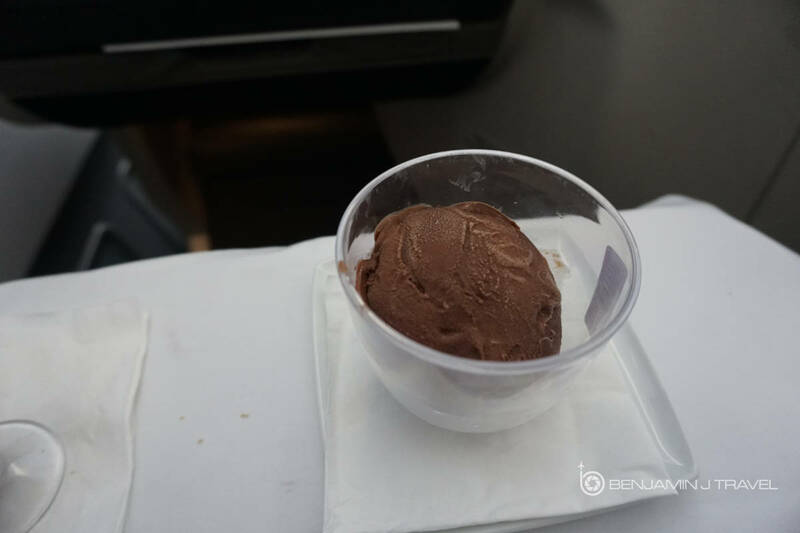 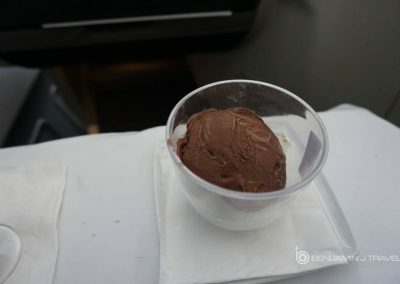 Although this is common for in-flight beef meals. 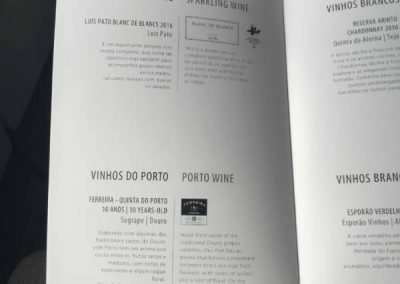 For dessert, port wines and ice cream were offered. 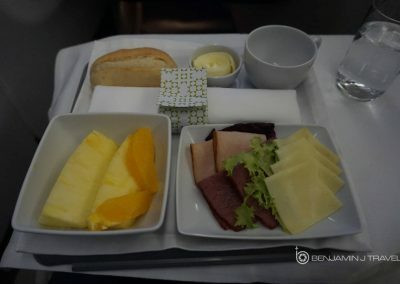 The pre-arrival meal was a fairly simple offering of fruit, cheese and cold cuts. 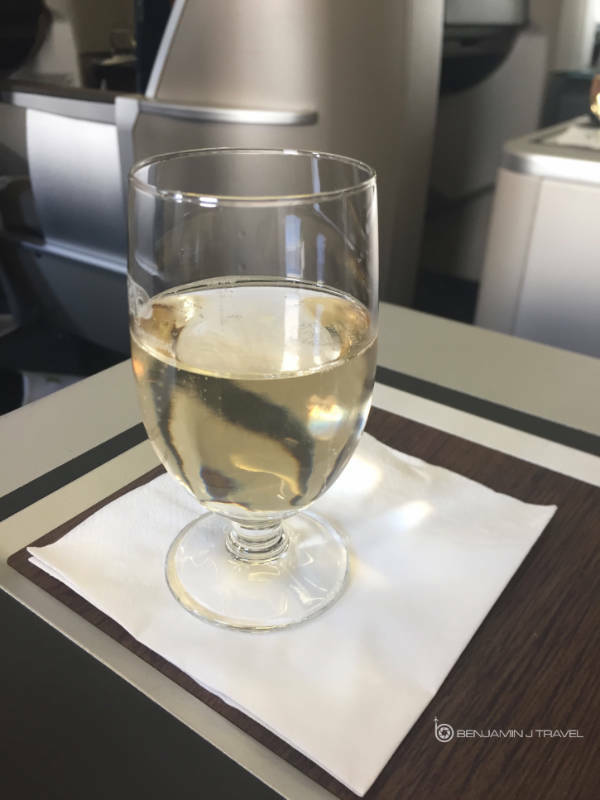 The Service: Pre-departure beverages were offered during boarding and I obliged a glass of champagne. 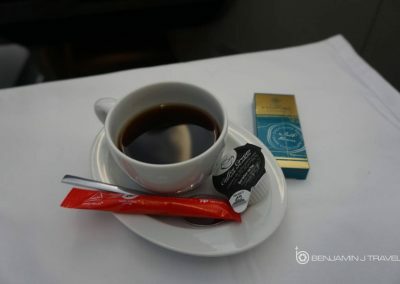 The service from the crew was very attentive from start to finish, even if they were a reserved, quite group. 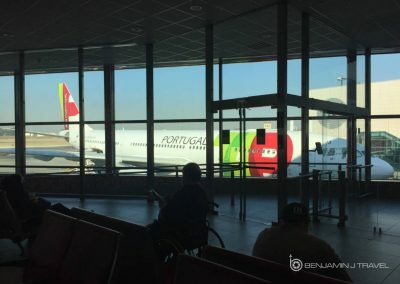 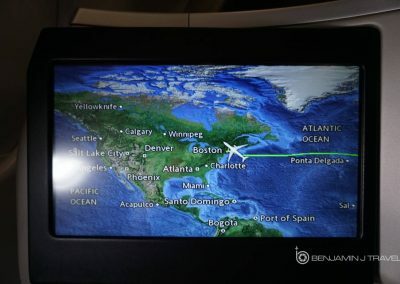 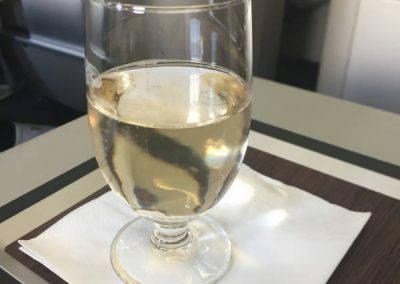 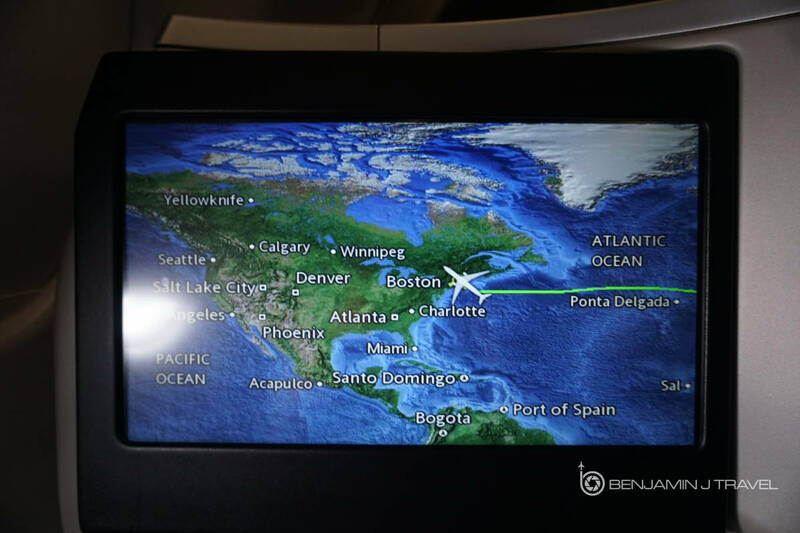 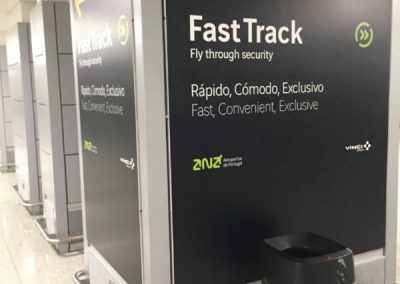 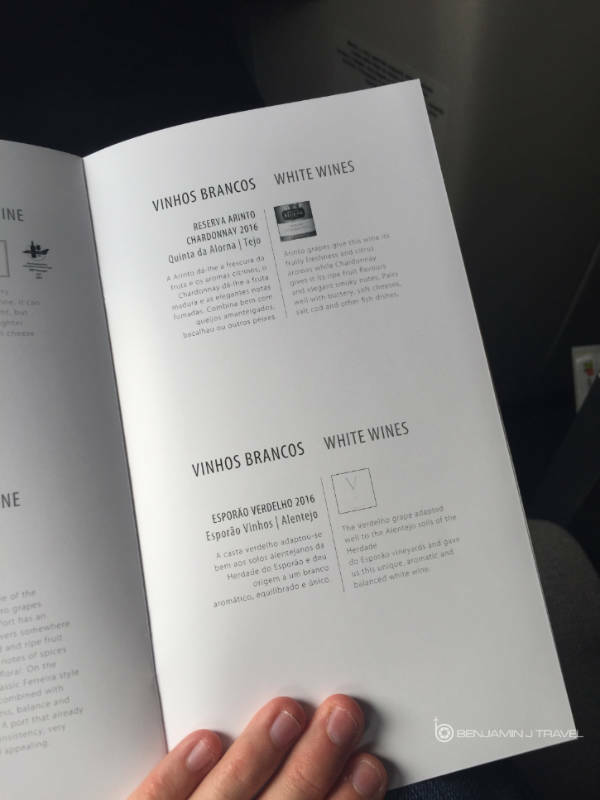 The Overall View: For the right price, I found TAP Portugal Business Class to be a comfortable way to cross the Atlantic. 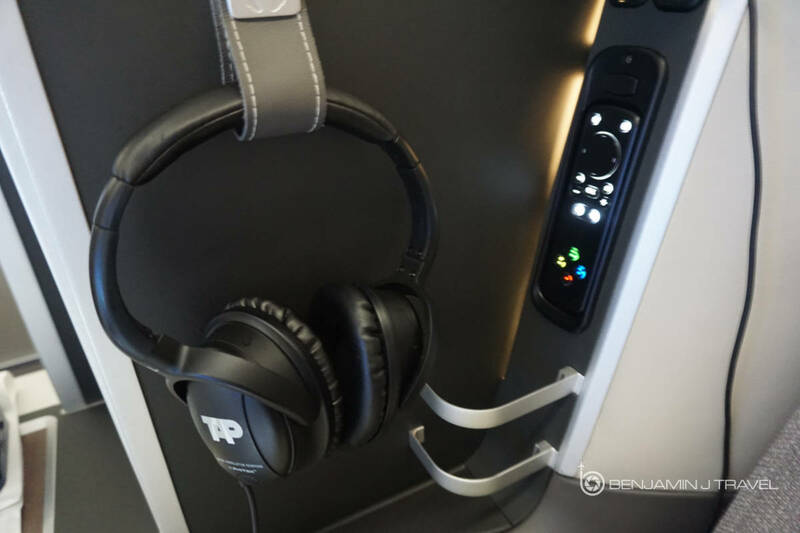 I’d honestly read quite a few negative experiences regarding TAP Portugal Business Class so my expectations were low. 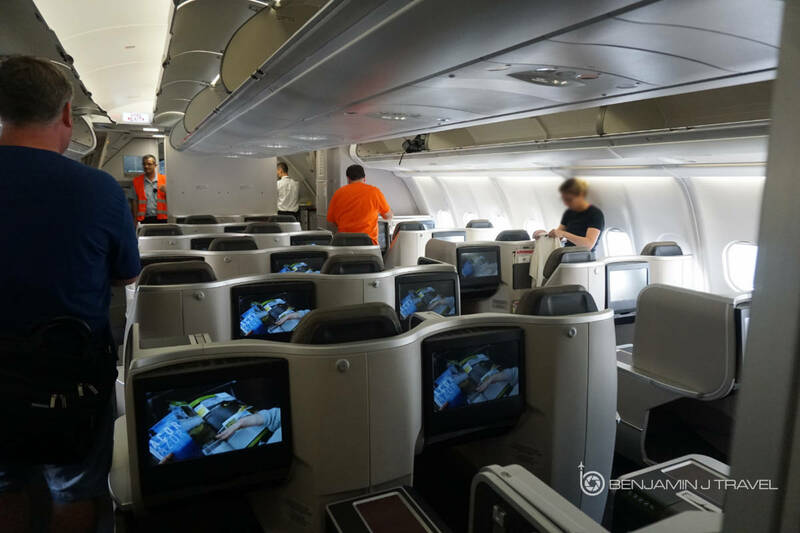 But I was pleasantly impressed with my overall experience. I think it certainly helped that I was flying in the refreshed TAP Portugal lie-flat Business Class seat on the A330.